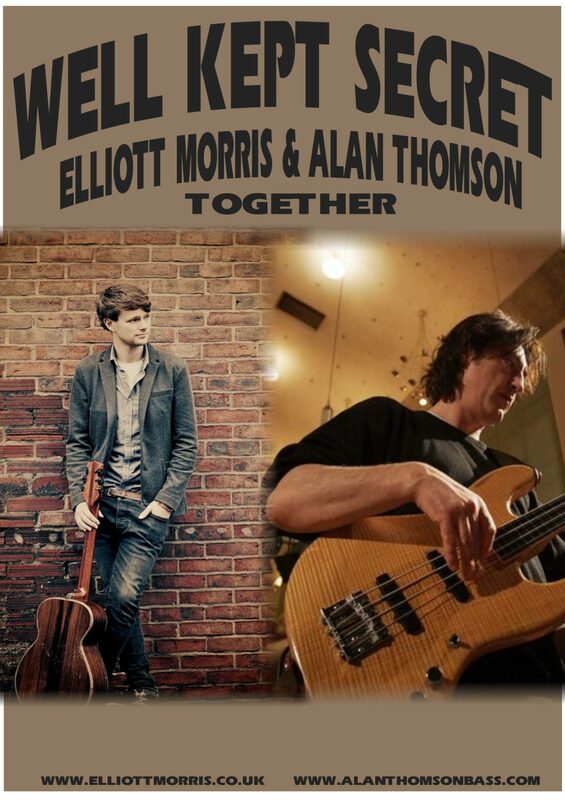 Well Kept Secret / Elliott Morris & Alan Thomson Together play Backstage at the Green Hotel, Kinross on Saturday 13th December with Mundell Music. Come and support this new venture! 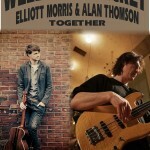 Expect a varied set of Elliott Morris songs with a handful of John Martyn Songs thrown in! Elliott Morris is a young guitarist and singer/songwriter prominent in the Lincolnshire, UK music scene who is known for his ‘unorthodox’ style of percussive guitar. Elliott was the winner of a prestigious Danny Kyle award at Celtic Connections in 2013. Alan Thomson came from a musical background with both his father and grandfather being jazz musicians and his mother being a fine pianist and singer. He started (like many other kids) to learn to play the violin at age 5 and then moved onto the piano until at 13 years of age, he finally got a guitar. Along with bass player Neil Fairweather, drummer Tim Brittain, and sax/flute and guitarist David Roy, “The Arthur Trout Band” was formed and played in and around Glasgow from 1976-1980 also playing in the summer of 1980 at Stonehenge and Bristol Ashton Court festivals. An occasional visitor to the band rehearsals was David’s cousin, the now legendary Scottish singer/songwriter and innovative guitarist John Martyn. would last almost thirty years until John’s death. Through his association with John, Alan has recorded and performed with Phil Collins, Eric Clapton, Robert Palmer (for whom he wrote the B-side of the hit Addicted to Love), David Gilmour, John Jorgenson, Linda Lewis and Bert Jansch.